Glossybox is a monthly subscription box that delivers five travel to full size products for $21 per month. Products have varied from haircare, skincare, nail products and makeup. 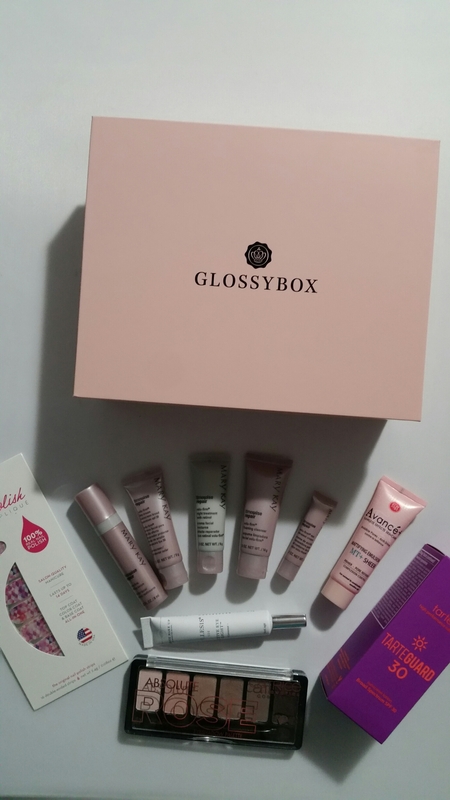 To sign up for Glossybox click here. The blue link is a referral links. If you are not comfortable using it I totally understand and appreciate you visiting my site!! If you do use them, thank you for your support. 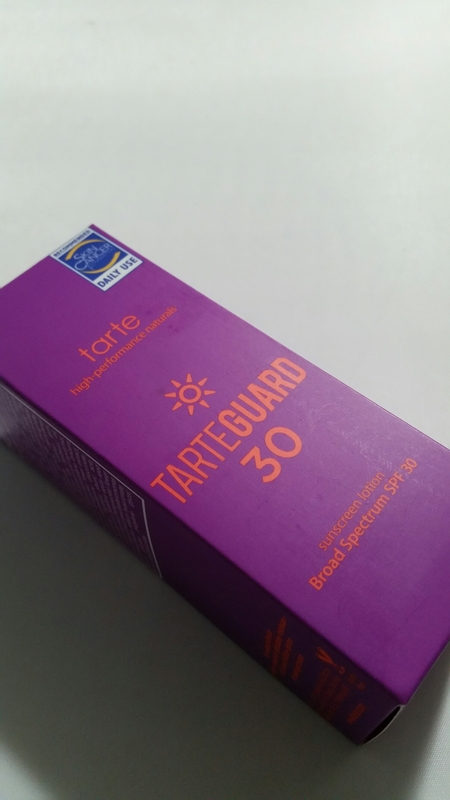 Tarteguard 30 Sunscreen Broad Spectrum SPF 30: Full size retail value $32. I had read some reviews on this product prior to receiving it and was discouraged. I’m not sure why all the poor reviews. I have dry skin so that could be the difference. I personally found this to be lighter than most sunscreens. One pump covered my face and neck. I did not find it to be greasy and it did not have a white cast. 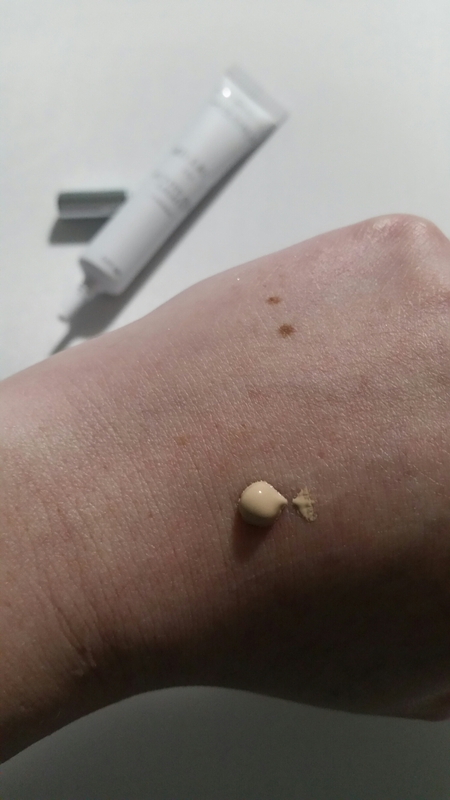 It blended out easily and felt very moisturizing. I applied my makeup over it as I normally would and it applied beautifully. 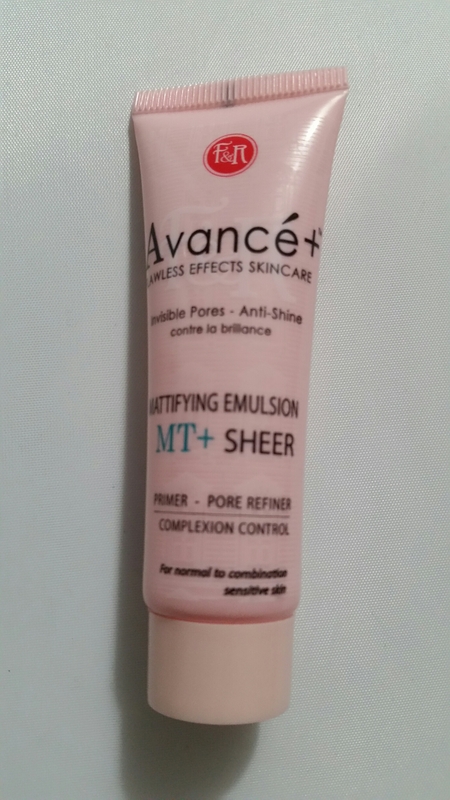 I enjoyed this product and can appreciate protection for my skin. Emite Make Up Millesis Active Eye Light Shade 101: Full Size retail value $25. I love products that are a two in one, both makeup and skincare combined. 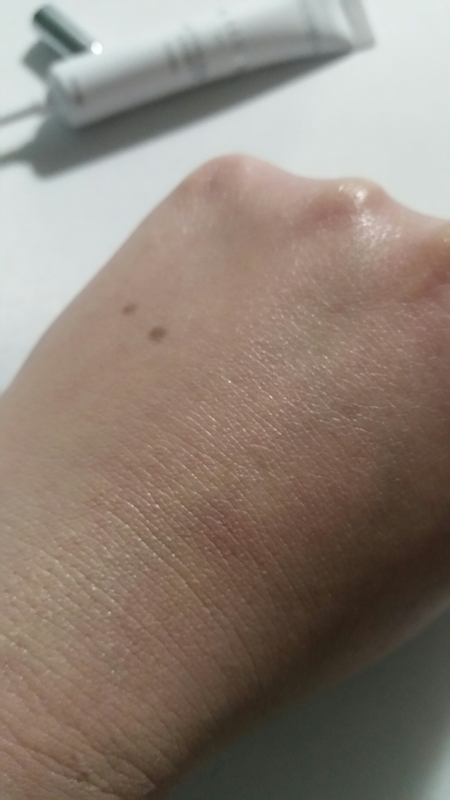 I’m not sure if you can tell by the picture but this did a decent job covering the redness in my hand. It also does what it says by reflecting light. 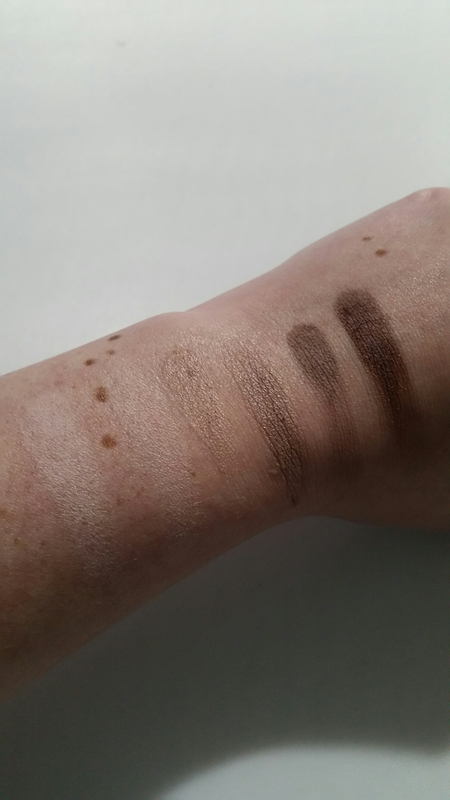 On the under eye I found this to be color correcting, light reflecting, and hydrating. I applied my makeup over it as usual and there was no caring or creasing. It was bright and illuminating in the most natural way. This has some really great skincare ingredients in it as well. This was a great find for me. 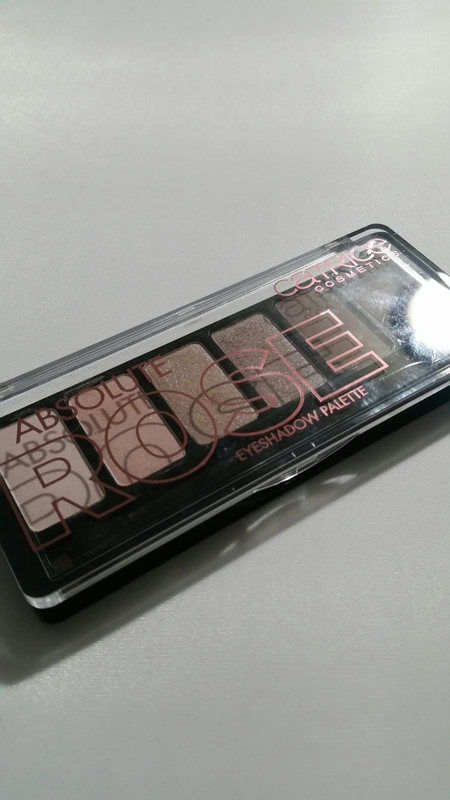 Catrice Cosmetics Absolute Rose Eyeshadow: Full size retail value $7 Some of these shadows were powdery and patchy, some were nice. When applying with a brush I had some fallout and I found them a little difficult to blend. This wasn’t my favorite, however my daughter is very much enjoying it. Figs & Rouge Avance Mattifying Emulsion MT + Sheer: Travel Size .5 oz retail value $15 (the full size is 1 oz for $30). 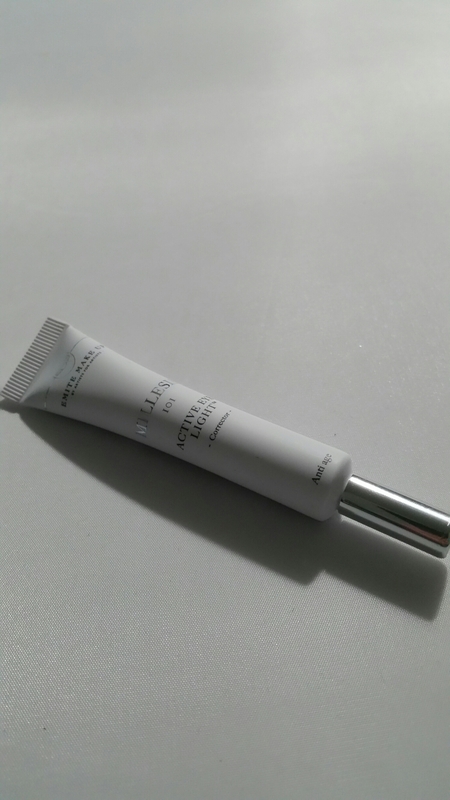 This is always a nice product to sample, and I have also sampled a serum from this brand which I enjoyed. This one I actually had to pass on. I did try it and can say, as expected with anything mattifying, this is not for those with dry skin. I don’t think my review would be a fair one given that this type of product is not made for my skin type. I will pass this on to a friend. 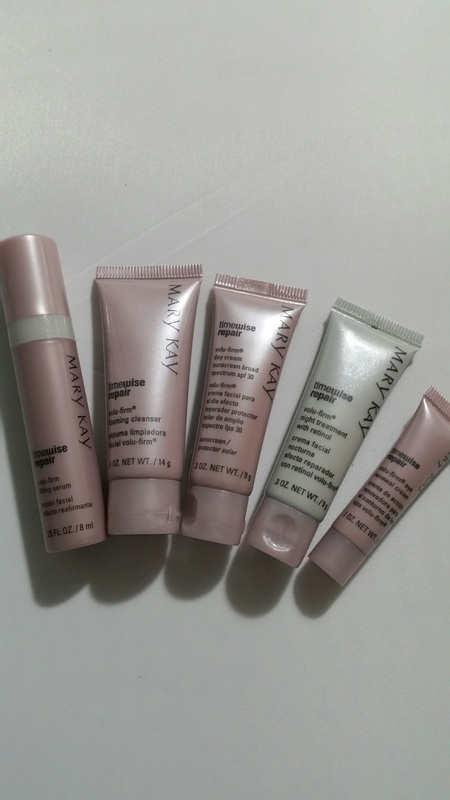 Mary Kay Timewise Repair Set: Travel Size Retails at $46 (the full size set retails at $205). Included in this set is a day cream with SPF 30, foaming cleanser, lifting serum, night treat treatment with retinol and a firming eye cream. I really like that we got to sample the entire collection. I found these products to work very well together. My skin looks and feels softer and smoother. I also found them to be very moisturizing without leaving a residue. The products absorbed well into the skin. If you are ingredient conscious you may want to look into the ingredients first. 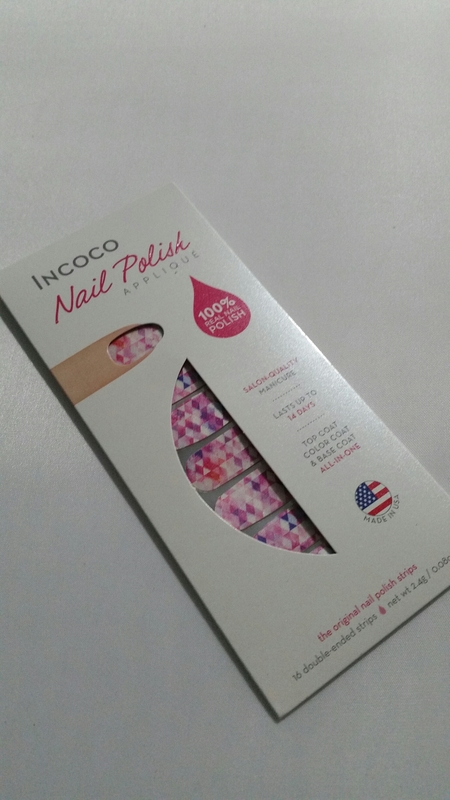 Incoco Nail Polish Applique: Full size retail value $8. These are always fun to get. These are some very pretty colors. I put it aside for the Spring. In this box I received 4 full size products, a travel set, and a travel primer. The total value of this box was about $133, a great value for $21. 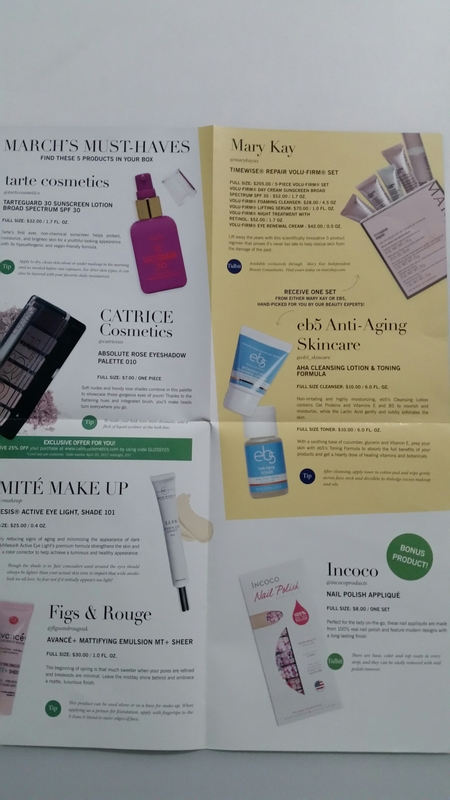 I found a few products in here that I wanted to try, and some new discoveries. Overall, this is not my favorite from Glossybox, but I am still happy with my purchase. Some of these items I would have purchased myself and paid more than the $21 for them, so I got a great deal!!!! I got to try a bunch of products, and I can pass the ones I won’t use on to a friend who will also be very happy to have them, so it’s a win.